Oiled, top quality brown leather. Heavy duty brass press stud on leather strap. 12 inches long overall with belt loop that will take up to a 2 inch wide strap. 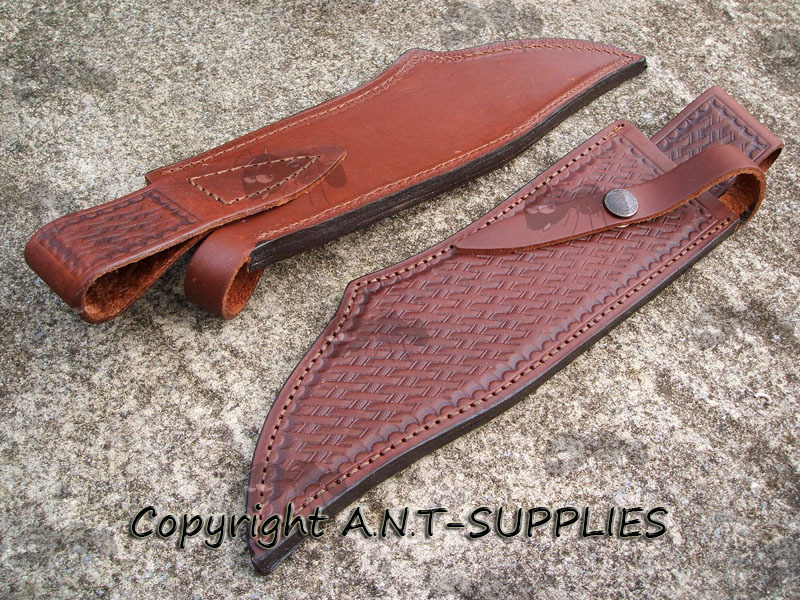 Will take most Case and other wide bowie type knives with handguards and blade of 9 inches or less and approx 2 wide. W.R. Case & Sons Cutlery Company is an American manufacturer of premium, hand-crafted knives that are built to be passed down for generations. 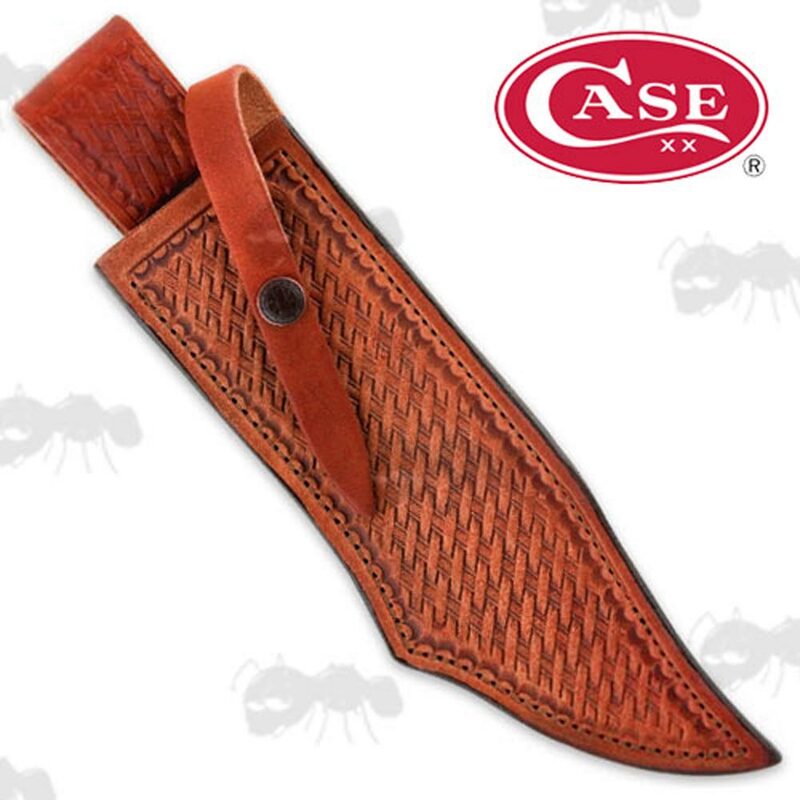 Genuine Case replacement leather sheath. Ridge Runner Coyote Run Bowie and Ridge Runner 20th Anniversary Cowboy Bowie.